" There are a number of prickly heat treatment options available (also known as miliaria or heat rash). Since prickly heat involves the body's ability to regulate heat, the first approach is always to move the patient in a cooler environment with lower levels of humidity. In addition to moving the patient, there are a number of home remedies and prescription treatment options to try such as the use of a cool water compress to soothe anything inflamed skin area. A Doctor can offer mild topical steroids that can provide some symptom relief. See below for out best 28 ideas for getting rid of prickly heat fast." The following podcast from the Centers for Disease Control provides an excellent overview of heat related diseases and conditions such as Prickly Heat and Heat Rash. The CDC discusses how to avoid heat related illness such as Prickly Heat. To understand prickly heat treatment, you need to understand what causes prickly heat rash in the first place. It gives you a place to start when deciding what you want to do to take care of your rash. When you are suffering from plugged hair follicles or sweat ducts, tiny, clear and water filled bumps form. If you burst those, they deliver a painful sting, because of the salt that’s in your sweat. Sweat also causes skin rashes, because it is an irritant. 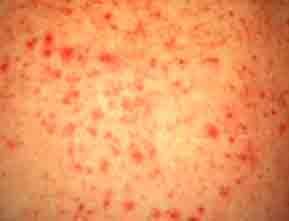 Your rash may look like small bumps with pointed heads, clustered around the base of the hair follicles. It may be pale pink or red. If it gets worse, before it gets better, you may wind up with hives, welts, larger red bumps and an itch that won’t stop. Typically, prickly heat rash appears just about anywhere, including the face, neck groin, back, elbow folds, abdomen, buttocks and under breasts. Depending on where it is located, you may wish to try various prickly heat treatments. 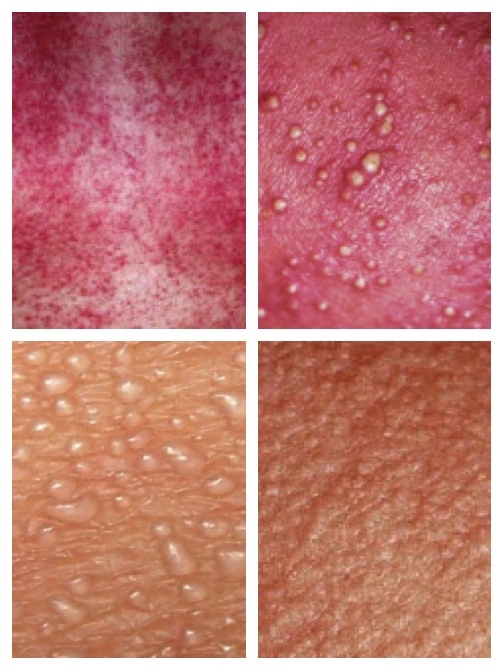 Miliaria rubra: most common, where sweat leaks into deeper layers of the skin. Itching, prickling sensation, no sweating in those areas. Heat exhaustion possible. Miliaria profunda: severe form, causes severe burning sensation. Blockage is buried deep in sweat gland, leaking into the deep layers of skin. Risk of heat exhaustion very high. Miliaria pustulosa: pustules from bacterial infection. Risk of heat exhaustion extremely high. Prickly heat rash does go away on its own. If it doesn’t, call the doctor, who will do a visual examination in combination with questions about heat exposure. If you have serious heat rash problems, the doctor may take a skin culture, skin biopsy or examine skin scrapings under a microscope. They may also test for eczema, fungal infections, allergy reactions and bacterial infections. There are many approaches that can bring relief during prickly heat treatment. The goal is to keep the skin dry and cool. Powders and antiperspirants are the first line of defense in addition to staying out of the heat and humidity. The heat rash itself can be treated with corticosteroid creams, although just moving to a cool air conditioned environment is often enough. Baby powder to help dry the skin or a powder made specifically for prickly heat. Lower the ambient temperature in your surroundings. Wash your rash several times a day. Only use soap for sensitive skin. Indulge in cool baths or showers. Place clean cotton cloth under skin folds to catch sweat. Don’t wear synthetic clothing. Stick with cotton. Use frozen peas or other vegetable packs or ice gel packs. Don’t leave them longer than 10 minutes on the skin or you may get ice burn. Repeat when necessary. As an alternative place ice cubes in a cloth. Place cloth on prickly heat area for 5 to 10 minutes. Repeat every 4 to 6 hours to get rid of the prickly heat rash in 2 to 3 days. Instead of ice you can use cold water. For moderate cases, hydrocortisone cream works well. 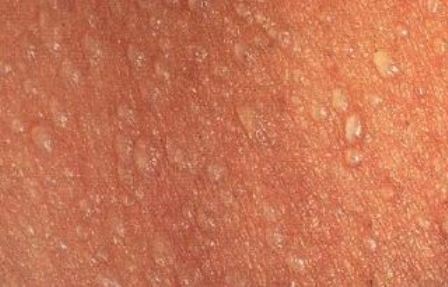 For moderate to severe prickly heat rash, the doctor may prescribe Triamcinolone acetonide, a synthetic corticosteroid. For a bacterial infection, your may need antibiotics based on the type of infection you have. Antihistamines (Claritin or Benadryl) for the itch. Antiperspirants to dry the skin’s surface. Stri-Dex Acne medicated sensitive skin pads with salicylic acid. Cool Epsom salt for heat rash baths. Bathe in an oatmeal bath 2x daily until you get rid of prickly heat. Place 1 up of fine oatmeal powder in a cool bathe. Stir water until it gets to be milky colored. Soak for 20 to 30 minutes. Pat skin dry after bath. Use baking soda (one teaspoon) added to 1 cup cold water. Soak washcloth in solution and wring excess water. Put washcloth on prickly heat area for 5 to 10 minutes. Use 4x to 5x daily for 1 week. Mix 2 to 3 tablespoons of rose water with 5 tablespoons of Fuller's earth to create a paste. Apply paste to skin area. When dry, wash off with cool water. Use 1x per day for 1 week. Grind fresh neem leaves until you have a paste. Apply paste to skin and allow to dry. Rinse with cold water. Use 1x a day for a week. As an alternative, simmer neem leaves in 2 cups water for 20 minutes. Strain and allow to cool. Soak cloth in water and place on skin area for 5 to 10 minutes. Use 4x to 5x a day for 1 week. In addition to these prickly heat treatment remedies consider providing the skin with a natural boost using a product like Skin Dr.